A sweet woman kindly reviewed my book earlier this year. Prior to seeing her blog post as a book review, it had never occurred to me to do the same for someone else. 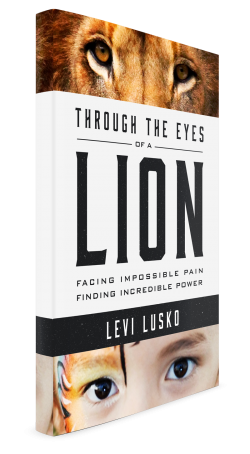 Today it’s my turn to do the same for pastor Levi Lusko, author of Through the Eyes of a Lion: Facing Impossible Pain, Finding Incredible Power. I was introduced to Levi and his wife Jennie’s story on a video from this year’s Passion Conference. Louie interviewed Levi, who was mesmerizing to listen to as he recounted the tragic day of December 20, 2012. Their five year old daughter, Lenya (aka: Lenya Lion) suffered a severe asthma attack and died in her daddy’s arms. Levi is vulnerable, a skilled communicator and, most importantly, a passionate follower of Jesus Christ. His responses are God-glorifying and biblical. My daughter gifted me with his book on Mother’s Day this year. I started it this week and finished it in two days. This is what stood out to me, which may differ from what others appreciate. First, this is a fabulous book on the realities of grief. Because my personal story involves the re-telling of my brother’s death thirty years ago, and because I teach Interpersonal Communication, I have paid attention to grief counseling and descriptions of the grief process for decades. This is the best book on the realities of processing and experiencing grief that I have read so far. The famous stages of grief have worth, but Lusko’s descriptions have greater value. He organizes his thoughts brilliantly at one point through an analogy of a woman in labor. His “stages” are less tidy but his descriptions are more visceral and “real life.” How he has experienced grief over his daughter’s death is much more aligned with what I have experienced over my brother’s death and observed in others. Mind you, Levi has not written a book specifically about grief. 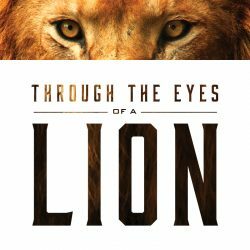 This book is about looking at your life — whoever you are — through the eyes of the Lion, Jesus Christ (Lion of Judah). As Levi tells the story and about life since Lenya went to heaven, his wrestling with grief is naturally threaded throughout the pages. Nothing is repetitive, however. Nothing. Rather, Levi keeps returning to his suffering from a variety of angles. He lets the reader process grief in pieces (as many readers are bringing their own grief to the pages). Therefore, this book can be read without feeling overwhelmed and as the pages turn, depth of understanding is added, not repetitiveness. Even I, as an experienced story-teller of grief, was led gently into new insights that have now been added to the lens through which I view the world. Second, we are living a Saturday. This year I blogged about the Saturday between Good Friday and Easter Sunday. I had never done that before. Perhaps because I did, however, Levi’s discussion of our time on earth being like that Saturday was particularly meaningful. I don’t want to blow the surprise so I won’t reveal anything more. Suffice it to say, the Saturday thread in this book is delightful. Third, the “real world” is the unseen world. I teach and write about life being short and eternity being what we are all to be living for each day of our life. Such a message is habitual to me, perhaps too much so. I was jarred back into clarity about the realities of the unseen world in a way that produced a prayerful response from me in my front yard. At one point in the book, Levi reviewed the story of the prophet named Elijah and his servant Gehazi as recorded in 2 Kings 6:8-17. Their lives were in grave danger. The king of Aram had sent an army with horses and chariots and had surrounded the city of Dothan where Elijah and Gehazi were staying. Gehazi saw the horses and chariots and was terrified. Elijah, however, was calm. Kindly, Elijah prayed for his servant to have spiritual eyesight. The Lord opened the servants eyes, and he looked and saw the hills full of horses and chariots of fire all around Elisha (2 Kings 6:17). (Foreword, Present But Not Always Accounted For). Levi followed this section up with a discussion about stars always being present in the sky. Even in the daytime, though we can’t see them, they are still present. We forget the angel armies in the sky when we face trials. We forget the stars in the sky during the day. We forget to live far-sighted instead of near-sighted. Levi wrote: Keep your place in this book, and go look up at the sky. Go on. Do it. Don’t just keep reading, I mean it. If you are outside, it’s easy–just look up. If you are indoors, got to a window, or better yet, open a door. What did you see? Any stars out there? It’s daytime, you say?….No matter whether you are in Manhattan looking at hundreds of stars, or Montana seeing thousands, there are always more. Millions and millions and millions more…For instance, when you look up at the stars, you are technically looking at all of them; you just can’t perceive all you are seeing (Foreword, Hidden in Plain Sight). It just so happens that I was sitting in my car when I was reading this portion. I got out and went to my front yard and looked up at blue sky and sunshine. And I prayed. Thank you, Father, for this eternal reality of my life. Thank you that what I see is not what is most real. Thank you that what I see and what I face is fleeting, but what I don’t see with my human eyes is eternal. Give me eyes to see beyond the clouds and sky again. Amen. And the next day in church (I kid you not), one of the worship songs was Angel Armies. While singing this song, I thought of my front yard prayer, this book, a Jesus-loving pastor, a beautiful family and precious Lenya. This book is a worthy read. I hope you enjoy it as much as I did.